With its impressive flexibility and expressive elegance, the ASUS VivoBook Flip is the perfect tech companion for any occasion. The VivoBook Flip is the result of ASUS’ passion for excellence and never-ending journey of creating revolutionary innovations that are both powerful and stylish. A powerful processor, a feather-light weight of 1.2 KG, a responsive touchpad, a 10-hour battery life and a 360-degree hinge that allows screen rotation to any angles, are just some of the amazing features that make VivoBook Flip a laptop of superb flexibility and performance. At the same time, its elegant metal finish makes it lovely to touch, and makes it a total eyecandy that everyone admires. True to the spirit of the VivoBook Flip, the Incredible Future Challenge aspired to determine the flexibility amongst our media partners. It sought to bring out their creativity in balancing work and play in their everyday lives. Congratulations for winning a brand new ASUS VivoBook Flip! 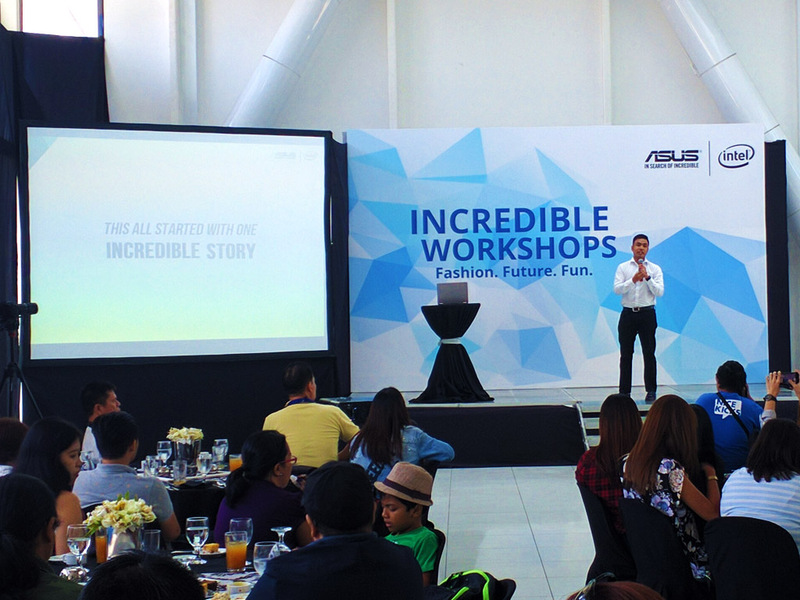 “Her Clean, simple yet engaging layouts for her posts appeal/speak to millennials whose highly mobile and social media-heavy lifestyle will be in perfect synch with a #VivoBookFlip,” shares businessman and media personality Mr. RJ Ledesma, the invited speaker during the Incredible Future Workshop conducted by ASUS Philippines. For his part, ASUS PR Head Mr. Anvey Factora praised the creativity and simplicity shown by the winning entry. “One of the goals of ASUS in creating powerful and flexible gadgets is to empower users so they can lead balanced lives. We really appreciate the creativity shown by Jaja Ramirez in all of her entries. She was able to show creativity in her lifestyle, daily routine and work space, which was the main requirement for the challenge,” Factora added.